CES is set to light up Las Vegas this January, but there are already some gadgets out there that are grabbing awards! The iCamPro winner of CES 2015 Innovation Award is now (almost) ready to leased onto the world! NOTE: Don’t forget to enter our Moto X Pure Edition Giveaway! 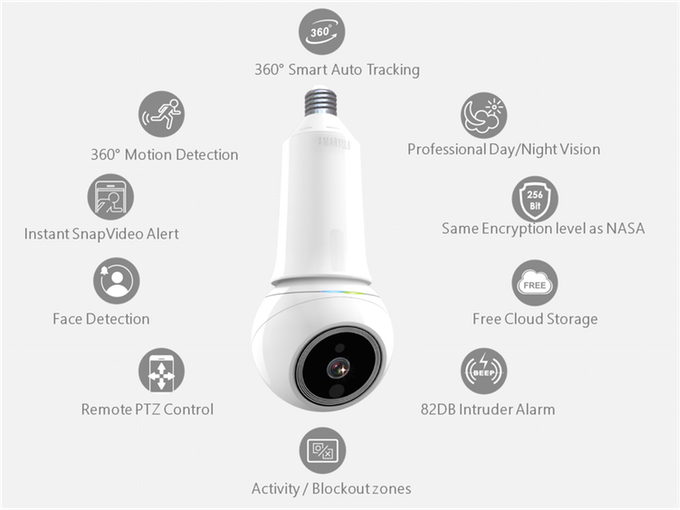 The iCamPro is like your home security video, but with all the latest and greatest bells and whistles.. The iCamPro features new technology in security, such as, face detection, remote control, and more at a reasonable consumer price point. The project has 23 days left on Kickstarter and starts at $199, which includes: 1 iCamPro Deluxe White, 1 Free microSD 8GB and 1 Year Platinum Plan Amaryllo Cloud (365 days of unlimited storage). The most expensive package retails for $7,900 and includes: 1 iCamPro Deluxe of the color of your choosing (Unique Edition) signed by all the team, 1 microSD 8GB, 2 Years platinum (365 days of unlimited Cloud storage), Be the first to be shipped, 1 Personal note from the CEO himself, 1 Day at the production site for a personal tour with the CEO, 1 Introduction to the team with pictures and souvenirs, 1 Air ticket to Taiwan, 1 Pick up at the airport in limousine, and finally, 1 Night in a 5 star hotel. I was going to purchase this package, but it only has a 8GB microSD card, come on for $7,900, you should at least get a 64GB microSD. Joking aside, this device gives you more control over your security. If you’re in the market for this type of device head over to their official Kickstarter page.